A captivating and very charming bouquet that just speaks: "I really cherish you!" 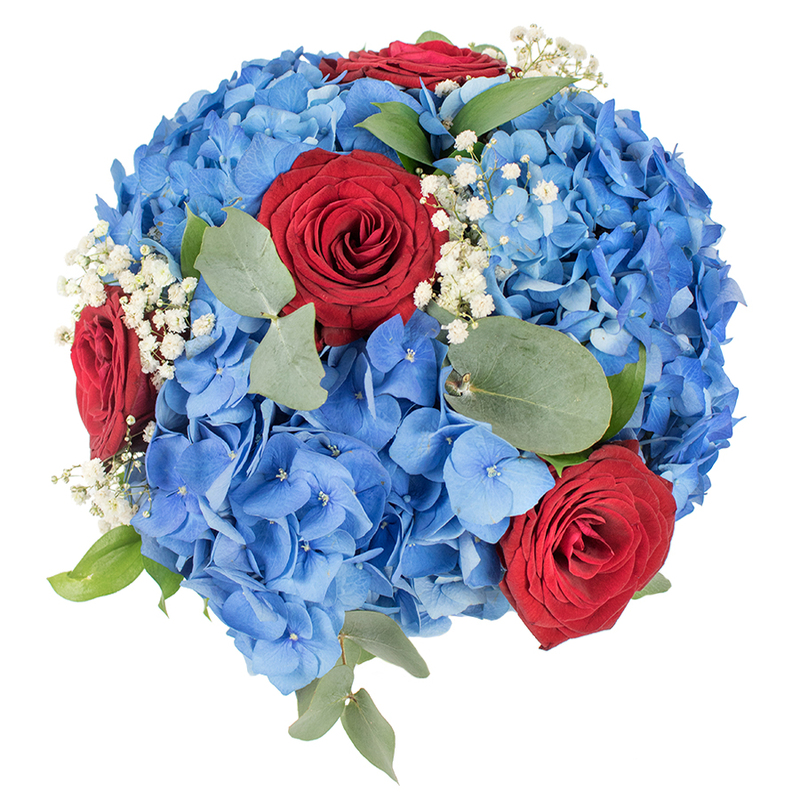 It is a magnificent combination of the freshest red roses, blue hydrangea and gypsophila flowers. It was wonderful to communicate with these professionals! I was very nicely surprised by this gorgeous bouquet! I was not at home when the courier came but they had left it in a safe place in front of my house. The sweetest gift I have ever received. I already thanked the sender but would like to thank your florist as well. Perfectly arranged flowers! Very good service. 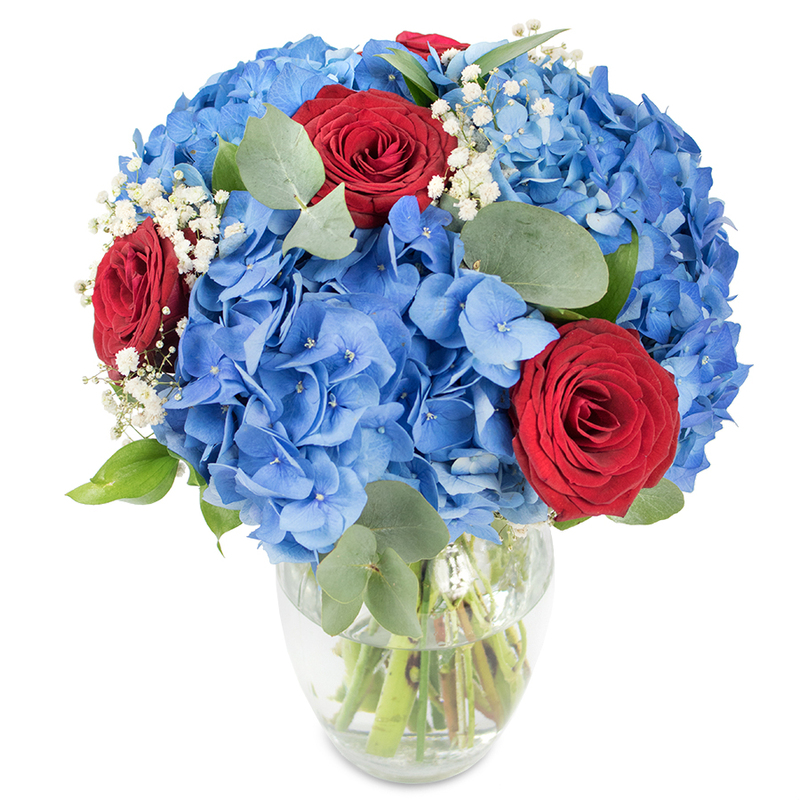 Easy to order the flowers, prompt delivery and nice people to communicate with. Thanks!